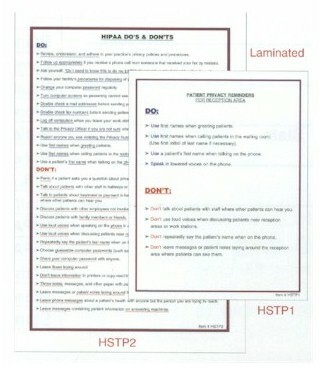 Large HIPAA Staff Training poster reminds staff of the do's and don'ts of good patient privacy practices. For use in all office areas. 12" W x 18" H, buff colored, one sided.